IC2944 - The Dragon Nebula ... and other news. 62,703 others viewed this post. Thanks to cyclone Debbie which smashed northern Australia yesterday, all the bad weather was sucked away from my home observatory for just long enough to image IC2944 (λ Centauri Nebula). I’ve always thought this area should be called the Dragon Nebula though as it really reminds me of Larry Elmore’s oil paintings from the Dungeons & Dragons manuals of the 80s. 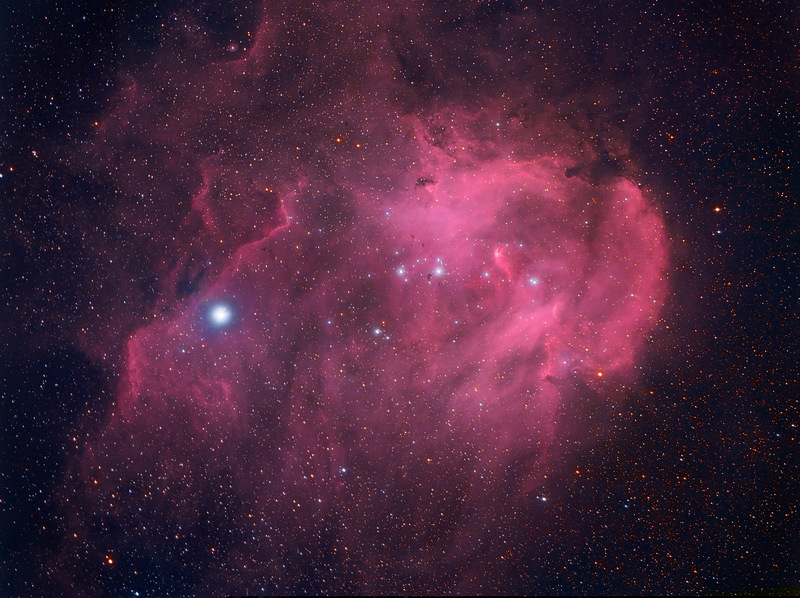 Knocked out fast with the Celestron RASA in only 30×1 mins of Ha (QHY9) and 30×1 mins of RGB (QHY12). Some star distortion from camera sag unfortunately but otherwise a nice image showing the dark Bok Globules in the clutch of new stars in the middle. 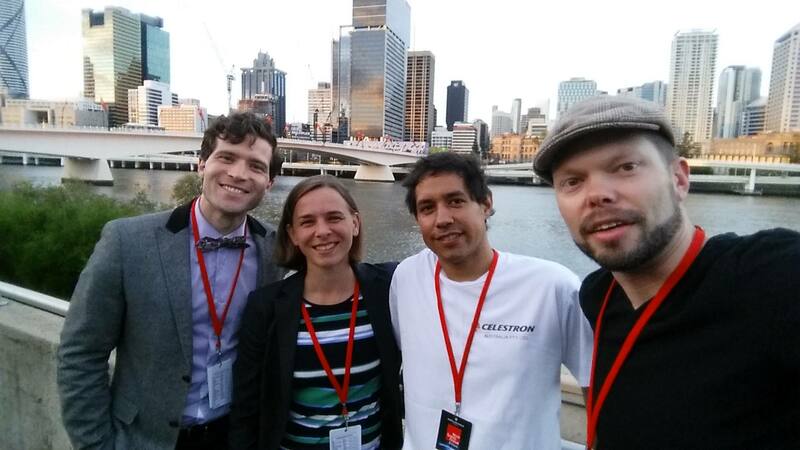 In other news I was a guest of Celestron at the World Science Festival in Brisbane over the weekend! I got to meet Dr Alan Duffy, Dr Lisa Harvey-Smith and Dr Duane Hamacher which was amazing. Duffy, Hamacher and I will all be speaking at “Star Stuff 2017″ in Byron Bay in June. Dr Karl will be the headline speaker and we are giving away FIVE telescopes to ticket holders including one Celestron 6” Evolution worth $2,400 AUD. See www.starstuff.com.au for details.